Bell peppers (Capsicum annuum), also called sweet peppers, capsicums or paprika, are from the family related to chili peppers, tomatoes, and breadfruit, native to Central and South America. They come in various colors, red, orange and yellow, and green when not ripe. Bell peppers are mostly water, 92%, and the rest is carbohydrates and certain amounts of protein and fat. The carbs are mostly sugars – glucose and fructose. 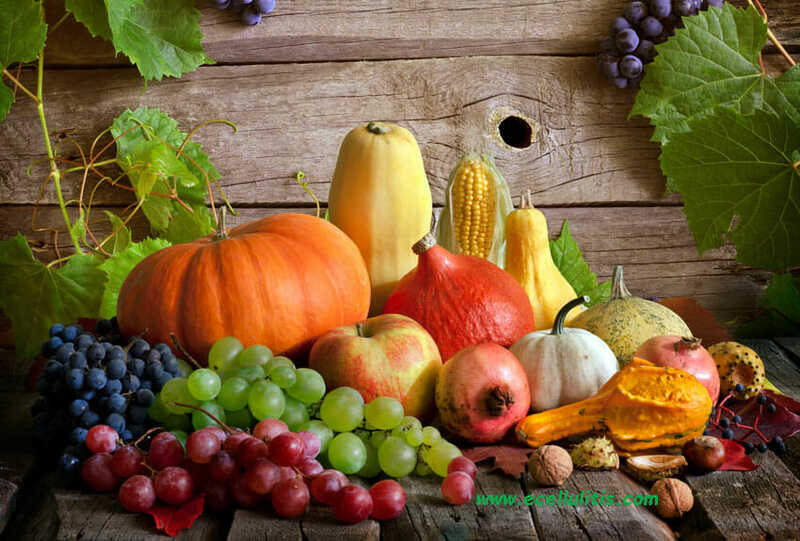 They are vegetables low in calories and rich in vitamin C and other different antioxidants. The combination of these essential nutrients makes bell peppers a great addition to a healthy diet. 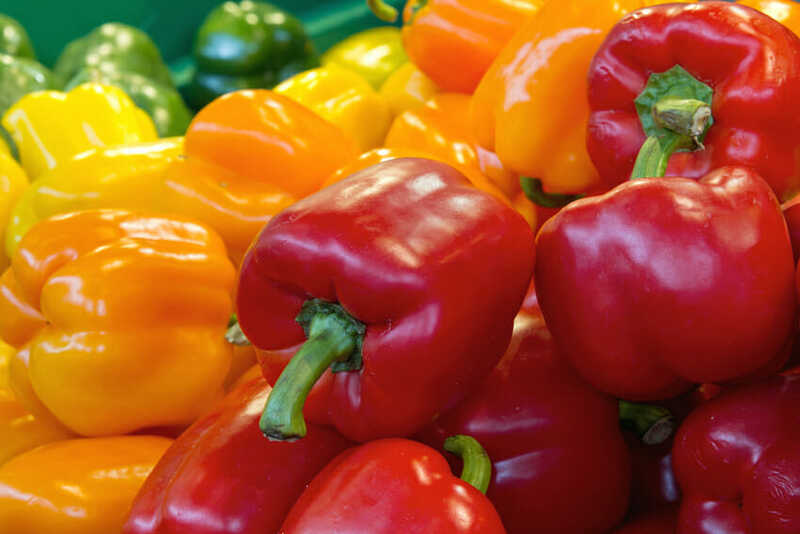 The high presence of vitamin A and V in bell peppers is able to fight both serious and short-term illnesses. People who eat food high in vitamin C are less likely to catch a common cold or flu, as this powerful antioxidant is a nutrient that enhances weak immune system. Just remember that 1 cup of sliced red bell peppers will give you 157% of the daily vitamin C content. Bell peppers contain high levels of lutein and zeaxanthin, over half a milligram, which makes them one of the best natural sources of these powerful antioxidants. Lutein is widely used in the treatment for macular degeneration. Researchers at Harvard found that 6 milligrams of supplemented lutein a day can help to reduce the chance of developing macular degeneration by 43 percent. Other eye-related illnesses that these antioxidants can help to prevent and treat are eye fatigue and acute vision. Another research showed that carotenoids found in bell peppers can ward off eye disease because they absorb damaging blue light as it enters the eye. With only 37 calories per serving, bell peppers can give the body needed nutrients with minimal calories. Bell peppers are also very low in fat and contain about 1 gram of fat that makes them a perfect snack option. Eating food high in carotenoids has been shown to help to reduce the risk of cancer, decreasing the activity of free radicals in the body. Bell peppers contain over 30 different types of carotenoids: alpha-carotene, beta-carotene, lutein, cryptoxanthin, lycopene, and zeaxanthin. Bell peppers also contain sulfur that helps to prevent cancer. Compounds with anti-inflammatory properties lower inflammation in arteries, which means that bell peppers can help to prevent heart diseases. Additionally, capsaicin, a nutrient that lowers the levels of bad cholesterol in the system, is also present in bell peppers. Bell peppers are considered one of the brain food due to the high presence of vitamin B6. This vitamin is responsible for increasing the levels of serotonin and norepinephrine, the “happy hormones.” When there are high levels of these hormones, we are having improved mood, more energy and more concentration. Vitamin B6 is also associated with improved cognition, and lack of it can even increase risk of Alzheimer’s and/or dementia. Bell peppers are great for the skin because they contain vitamin C, which is good for your immune system, and carotenoids that improve the health of your skin and promote collagen production. They also contain a small amount of vitamin E that helps to keep skin youthful.